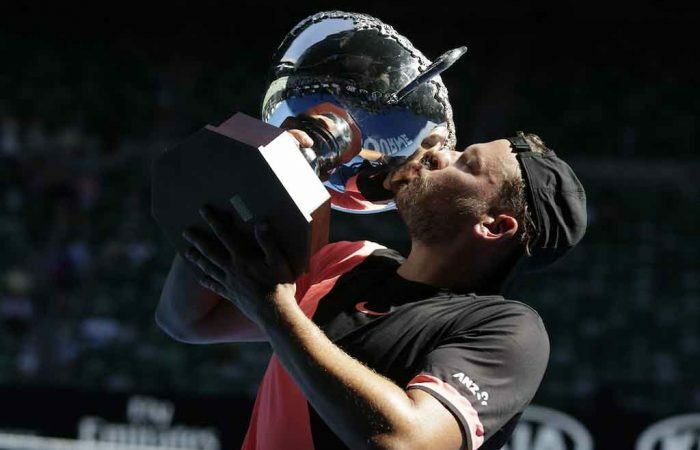 Victories at the Australian and US Open bookended an impressive 2018 season for Dylan Alcott, a Newcombe Medal finalist who now verges on the world No.1 quad wheelchair ranking. 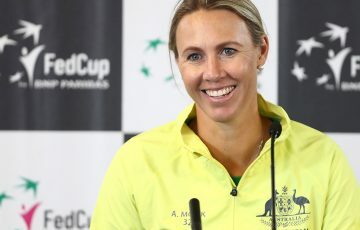 The 27-year-old, a Newcombe Medallist in 2016, has been nominated for Australia’s top tennis honour for a third time. Here is a snapshot of his 2018 season. Defeated world No.1 David Wagner in five of their seven meetings in 2018, including in both the Australian and US Open finals. The Melburnian thrilled home fans when he captured his fourth Australian Open title in a row. Alcott recovered from losing in the round-robin stage to Wagner by beating the American in straight sets in their rematch in the final. He later scooped the US Open trophy – losing just one set in four matches – to win his sixth Grand Slam singles title. It was a year of notable firsts for Alcott. Not in terms of winning Grand Slam titles; he continued to do that, earning his fifth and sixth major trophies – among five total titles in 2018 – courtesy of victories at Melbourne Park and Flushing Meadows. Instead, Alcott’s firsts came in the sphere of further promoting the wheelchair game. His Australian Open match against Heath Davidson was played at Rod Laver Arena on prime night-time television, rescheduled on the tournament’s stadium court after Hyeon Chung unexpectedly retired from his semifinal against Roger Federer. And Alcott appeared in an exhibition doubles match six months later at Wimbledon, the first time the quad division had featured at the All England Club. 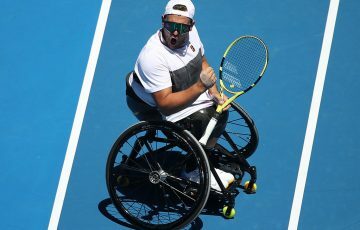 Alcott’s myriad off-court projects meant he played just seven events in 2018, yet that was up from the five he contested the year before, helping him improve his ranking to No.2 and move to within striking distance of the top-ranked Wagner. He also enjoyed a fruitful doubles partnership with Davidson; the pair collected five titles and built a 15-match winning streak before losing their first match in August in the USTA Championships final. The Newcombe Medal, Australian Tennis Awards will be streamed live from Melbourne’s Palladium Ballroom on Tennis Australia’s Facebook page, beginning at 6.30pm AEDT on Monday 26 November.